Where can I begin? I can start at that little cafe. I had a little red pouch where I kept my written diary, something I've kept up since eleven - that is eleven years old. I was sitting there and writing in it about the last time I was exploring a town like this. Looking at the state of my hands. I spent some time in Germany, you see. A long lonely time. At the same time I was completely free. I had a job, a car and some money. I had nothing better to do than to spend my weekends just exploring with a map. After having spent a little time walking along the river that goes through the center of Strasbourg, I was in a cafe reminiscing about those days. You know, the days when there was nothing calling you but the draw of the next adventure. Nothing holding you but a quiet warm calling that is your own conscience or maybe your sister - it says: Try. Try hard, and travel as long and as far as you can. Now, while you can. Beautiful tarts and beautiful wines. 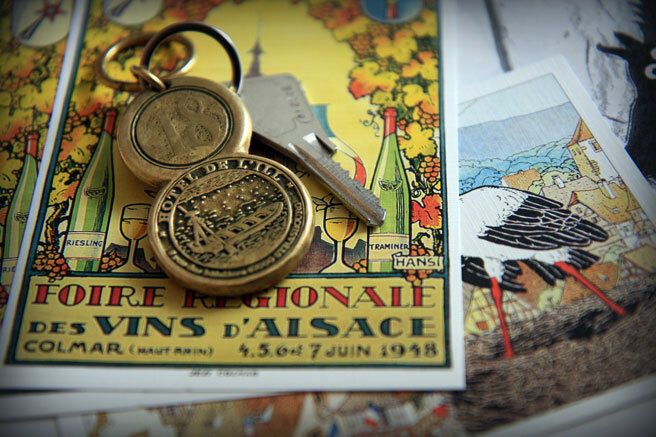 Alsace is a dreamland. You are still drawing wonderful adventures in every new blog you write. Oh, Lucy, I love Strasbourg. I'm planning to go back in November on my way home from India. Cannot wait. Just came back from Alsace! The food and wine was stunning. Pudlo was very useful, thank you!